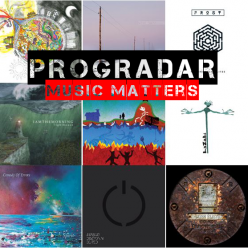 We welcome another new face the massed ranks of Progradar guest reviewers, please say hello to Kevin Thompson and his review of Thieves’ Kitchen. We used to have a saying when I was in the RAF, never volunteer for anything. So here I am, having volunteered to review ‘The Clockwork Universe’ by Thieves’ Kitchen. 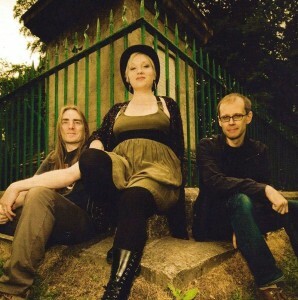 Thieves’ Kitchen are a band based in Swindon and Stockholm,who have been making progressive music since 1999. Their creative core is vocalist Amy Darby, guitarist Phil Mercy and keyboard player Thomas Johnson. They welcome a new bassist to the team, Johan Brand of Swedish progressive rock legends Änglagård, for this latest album. Joining them on this release are friends and previous collaborators: flautist Anna Holmgren (of Änglagård) and drummer Paul Mallyon (formerly of Sanguine Hum) . The album was written and recorded in England and Sweden, and mixed and mastered by Rob Aubrey at Aubitt Studios (IQ, Asia, Big Big Train). This is their Sixth release, having recorded five critically acclaimed albums previously, of which I must confess, have not heard any. 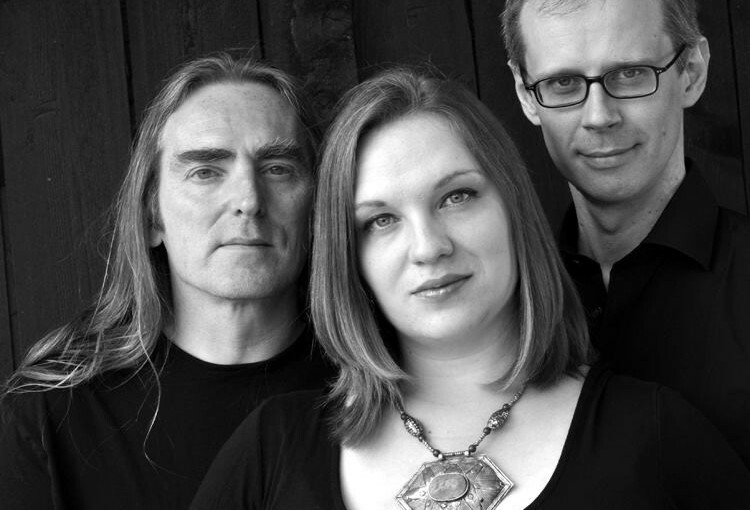 The band’s sound has elements of Canterbury, Folk, Fusion, Symphonic, Jazz, and Rock, producing music which, whilst adventurous, retains a familiarity. Melodic and intricate, blending both English and Swedish flavours. The band say this is an album exploring the human experience of a complex world and these are songs about people whose experience brings them into contact with a universe of science and learning, whether as a child (Prodigy), a neglected spouse (The Scientist’s Wife), young lovers (Library Song) or as a bystander confronted with the inexorable progress of industrialisation (Railway Time). There are also two instrumental arrangements (Astrolabe and Orrery) . Before we drill down to the ‘Nitty Gritty’ of individual tracks, can I just state this is my first ever full review of an album, for any publication and for me it is a trial by fire as, on first listen, it was not to my taste and, despite further consideration, not all the tracks float my boat. So I will try to be as objective and unbiased as possible in this review, remember this is only my opinion. Track 1 – Library Song: Opens with some mournful guitar and slow Jazz style keyboards that increase in pace, ushering in the vocals of Amy Darby. The backing arrangement increases in complexity and I profess to enjoying some of the guitar work, and there is plenty of Steely Dan type keyboards leading to a climatic finale, but overall this it does not leave a mark on my register. I would have liked to have heard a little more excitement in the vocals as they seem too laid back and drag the track down and not the best introduction to an album. Track 2 – Railway Time: Relaxed Keyboard intro,quickly increasing to a funky 70’s style Rock tempo, reminiscent in my mind of Rod Argent. Amy’s vocals seem better suited to this track. There is a short pleasant flute interlude which then weaves into the mix, along with the subject matter pushing this toward Big Big Train territory, which also seem to reflect in the lyrics. I also prefer the keyboard arrangements on this, to those on Library Song which, along with a flautist flourish, bring the second track to a close. I have grown to like this track more with each listen. Track 3 – Astrolabe: The first of two instrumentals on the album and one of my favourite tracks. This has a beautiful piano which is joined by some rather nice complementary guitar. Poignant and delightful, the length giving it the feel of an interlude, which I would have liked to have lasted a little longer. Track 4 – Prodigy: A rocky, Hammond organ style start to this which eases off to a flowing melody, once again introducing the flute which adds a touch of ‘Englishness’ to the song along with Folk and Canterbury scene elements. Amy’s vocal range is expanded a little more on this, making an entrance a third of the way through the track, but again not to my taste. The lyrics and keyboards seem quite reflective of earlier Genesis in places with this track coming to quite an abrupt end. There are parts of this that appeal, but not the sum of the whole. Track 5 – The Scientist’s Wife: A more memorable, looping keyboard lead-in, dancing with Hammond and guitar to a good rhythm. Again some of the guitar solo flourishes sound rather good. This is the longest track and changes tempo after the first few minutes with some nice, Steve Hackett/ Anthony Phillips gentle style guitar slowing it down, to be accompanied by Amy’s floating vocals which seem more in keeping with the majority of the music on this track. The vocal harmonising adds a more pleasant contrast and once more the flute solos play a part, lifting the track. This is one that appears to have a memorable chorus that sticks in my head a little, unfortunately the vocals on the chorus seem to echo what I don’t like in Amy’s voice, though I find it difficult to pinpoint. Two thirds of the way through and the track rocks out a little more, the guitar and drums being let off the leash for an instrumental passage with the short interspersed vocal from Amy. It all quietens down to varied types of keyboards blended together and then the vocals return. The flute enters with some nice string arrangements and keys, to ease us into a gentle finish. Again, parts of this I like, but not the whole. Track 6 – Orrery: Simple piano notes and what sounds like the ticking of an old clock are joined by the flute and guitar for the start of the second instrumental, and final, track of the album. (The title of this is the name given to working Solar System models). String arrangements are introduced giving it an airy feel as if watching birds in flight and is an excellent way to close, I only wish it was longer. 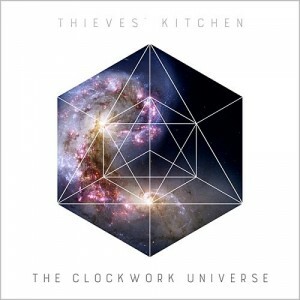 In summary there are tracks on ‘The Clockwork Universe’ that I would happily listen to again and some I would not. Competent musicianship flows throughout and the professionalism of the the band cannot be faulted. Amy has a relaxed, gentle vocal style along the lines of Joni Mitchell, but it doesn’t excite me and, in places, niggles. But then, I am not one to listen to Joni on a regular basis either. For me the two shorter, instrumentals with their, wistful arrangements are the best tracks and I would have been happy to hear more along these lines.